We want to see how, in some cases at least, the forms of living things, and of the parts of living things, can be explained by physical considerations, and to realize that in general no organic forms exist save such as are in conformity with physical and mathematical laws. 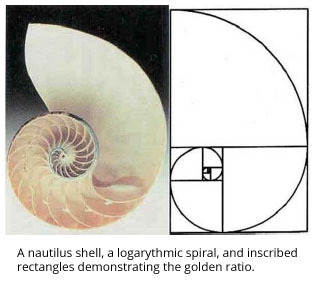 Mr. Thompson analysis of the graceful logarithmic spiral of the nautilus shell is an excellent example of the utility of mathematics in study of the living world. Moreover, it shows that life has much to teach us about beautiful math and can inspire new thinking in the physical sciences. 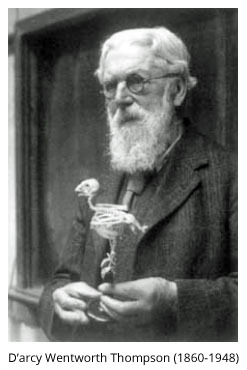 (1) Following Thompson, physics has much to teach us about how life works. We apply the elegant mathematics of statistical physics and nonlinear dynamics to understand those “parts of living things,” at ever finer detail, even down to the molecular level. (2) Conversely, the living world presents unexplored challenges for fundamental physics of condensed matter. We recognize that the living world presents new challenges to physicists studying complex condensed phases of matter because life generates exquisitely complex ordered structures that are driven into unique nonequilibrium states. Understanding the collective properties of those states presents new and fundamental challenges for statistical physics. (3) New physical tool are needed to explore the living world. We note that, from the original microscope to NMR to x-ray diffraction studies of protein crystals, physics has provided new tools to probe the structure and dynamics of living matter. This effort continues today in the center, where we develop novel mechanical, optical, and other probes of the living world. • What are the underlying thermodynamics and dynamics of the spontaneous assembly of viruses, and how can it be controlled? • How does the physical and chemical environment of a cell affect the signaling system that regulates cell division and cell death? • How does the cellular replication control fail in the context of cancer? • What are the physical mechanisms of sensory detection, and what are the fundamental limitations on detecting sound or light? 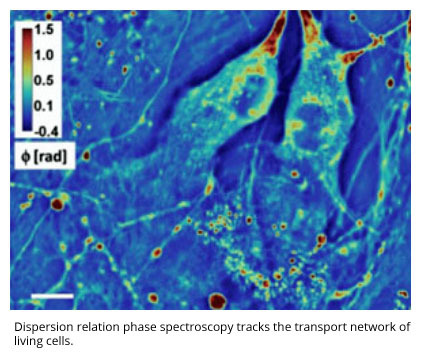 • Is there a universal description of the cytoskeleton of living cells that can predict the ability of cells to grow, change their shape, and exert forces on their environment? • Under what consitions will self-replicating and error-correcting molecular machines evolve from simpler molecular components? What can we learn about how life evolved on earth and what can be said about the possibility of life elsewhere?